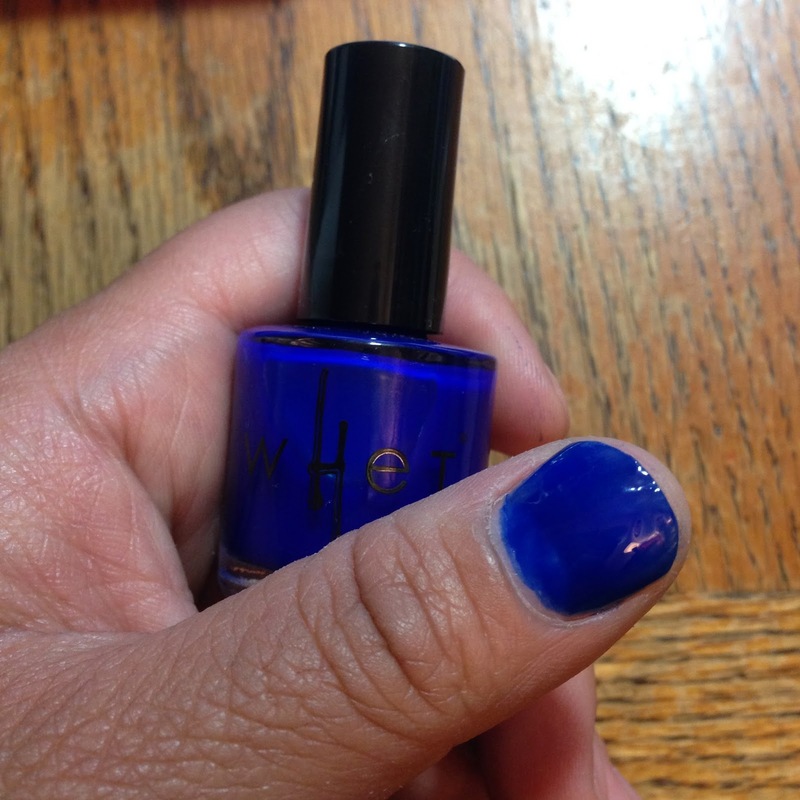 I always love a blue nail polish. 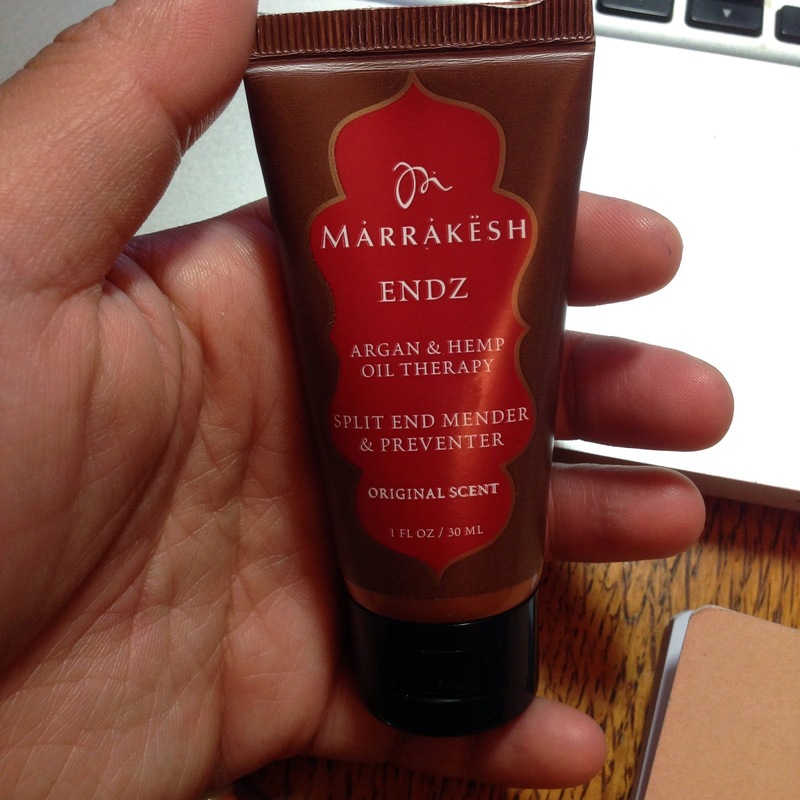 I like this formula - it's not quite opaque in two coats, but it applies easily and dries quickly. We'll see how long it lasts (although, since I'm moving house, it's not necessarily a fair test of nail polish endurance to lift furniture and boxes). The translucence of the formula reminds me of jelly. 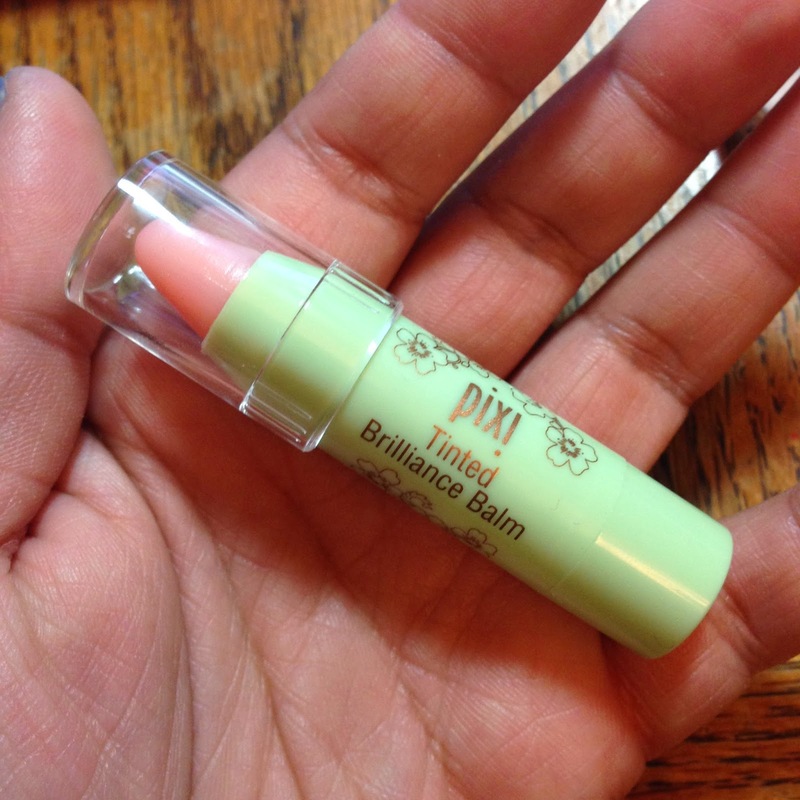 I admit, when I first saw this, I was disappointed because it's a very pale pink balm, which for me usually means that it will practically apply clear. The Pixi website tells me that this shade self-adjusts according to your pH level, which is pretty nifty, but for me... yeah, I only got a faint pinkish hue. Not much of a pH reaction there. *shrug* Oh well. It feels nice on my lips though. I would be interested in trying this in other shades that would hopefully lend some color. It's funny, when I first looked at this, I didn't read the entire name on the package, and just assumed it was a BB cream sample and was like, "Oooh, bareMinerals is doing BB creams now?... 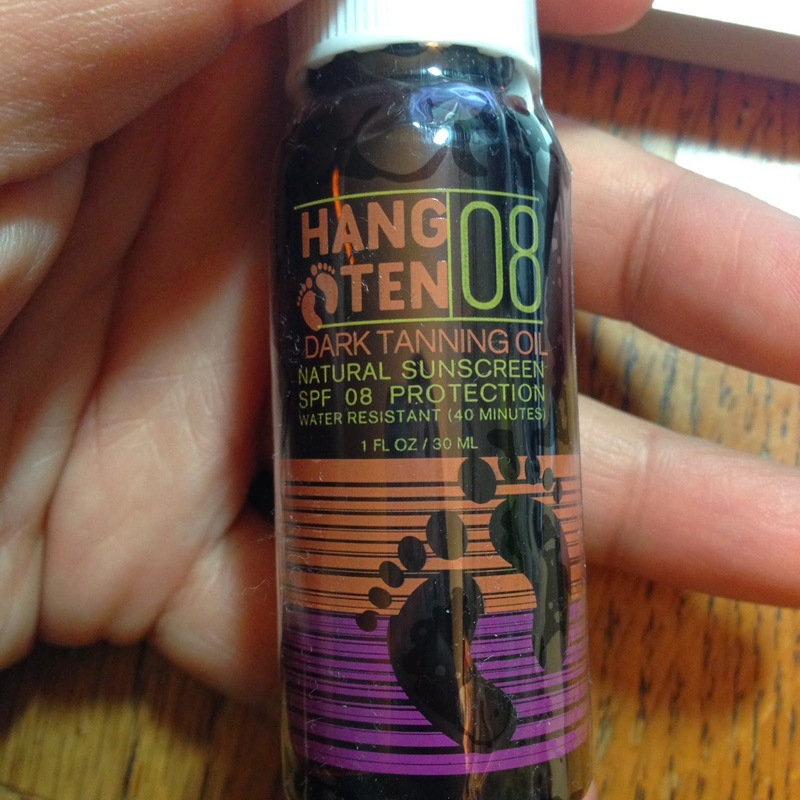 Oh, but this shade is waaaay too pale for me," and then got disappointed. Ha! Luckily it's a cream shadow. It's smooth, pigmented, and stays on pretty well. 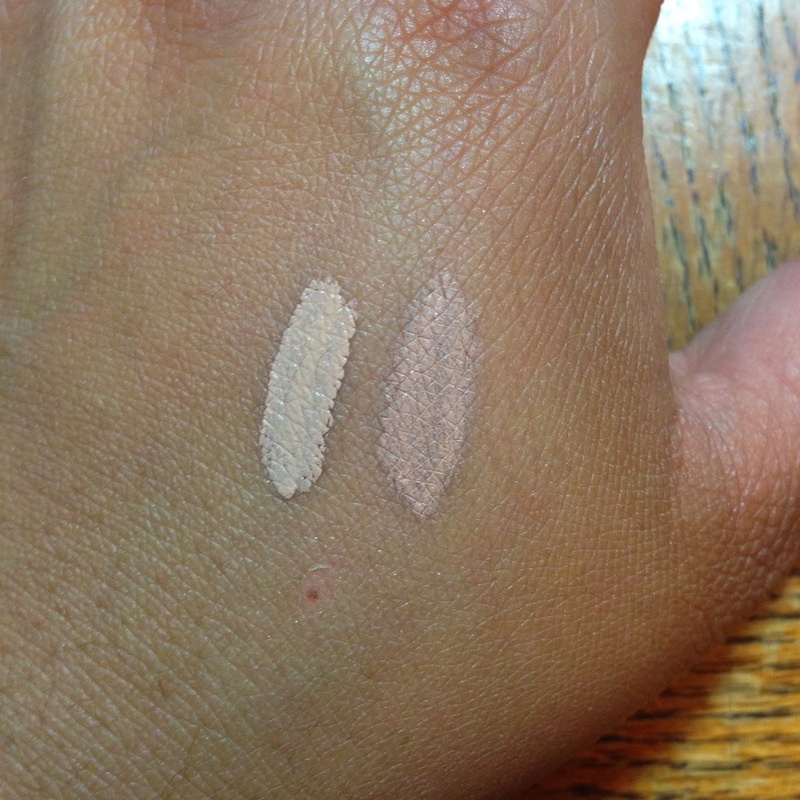 In my swatch over there, the left side is how it looks freshly applied, and the right is after it's dried a bit. This will make a great base/primer. So yeah, that's all for my July bag. Overall, I'm pretty pleased with the stuff I got. I haven't been wearing makeup much since summer break started, but I'm glad to have some of these - the balm and the cream shadow especially are good makeup stash staples. 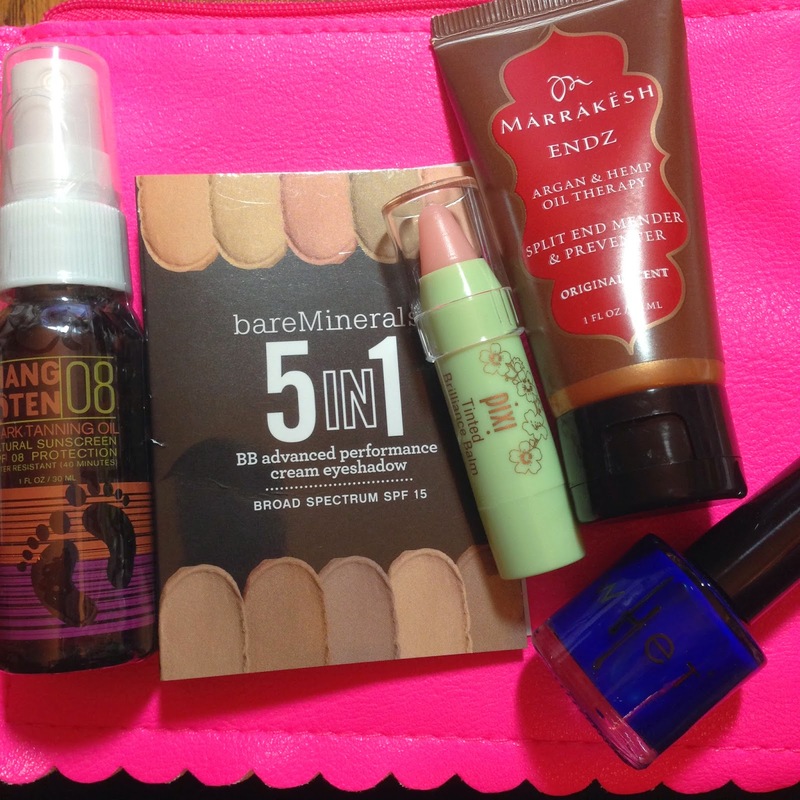 If you are interested in signing up for Ipsy, you are welcome to use my referral link. Thanks!